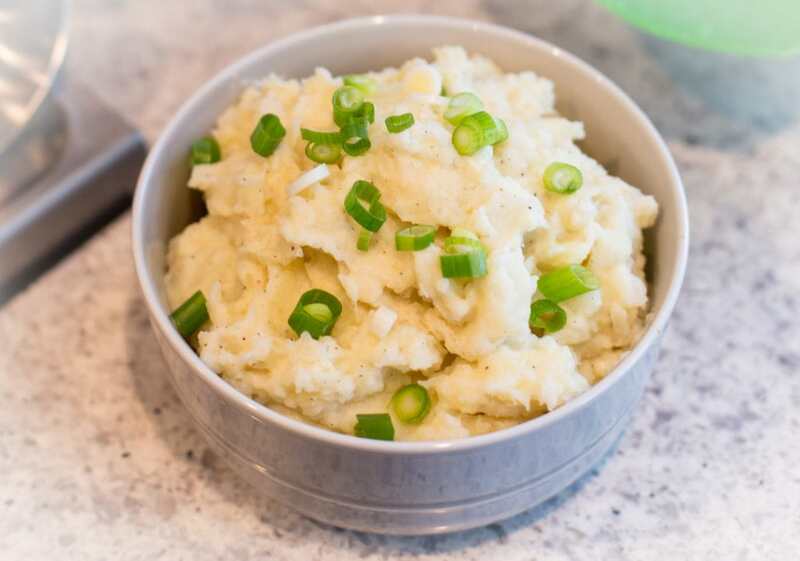 A bowl of creamy mashed potatoes is one of my favorite side dishes to make in the Instant Pot, and they’re even better with the addition of a couple sweet and nutty parsnips. 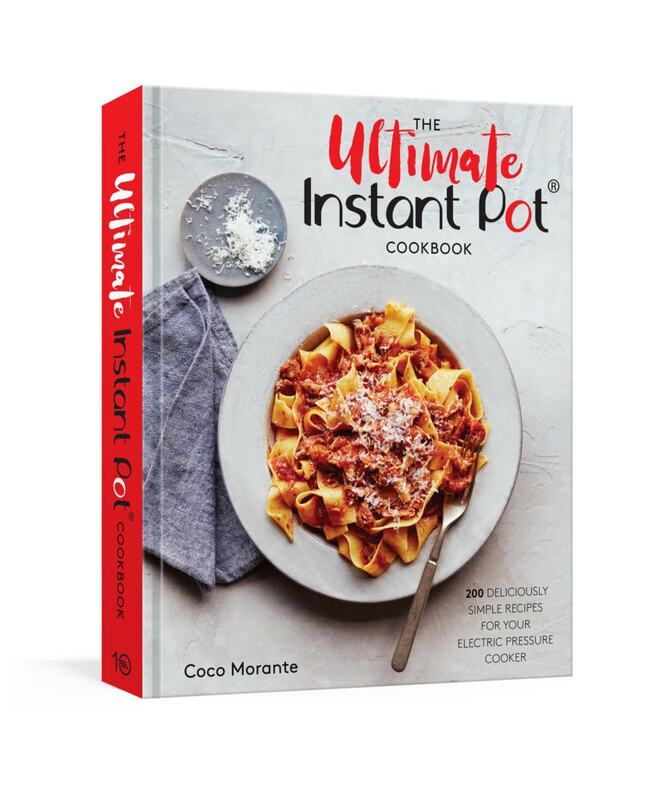 This recipe is from The Ultimate Instant Pot Cookbook (it’s actually the recipe note variation for Creamy Mashed Potatoes), which is available for pre-order now and comes out on October 30th! Yep, that’s right, I wrote another cookbook! This one has 200 (!!!) recipes, and most of them are brand spanking new. 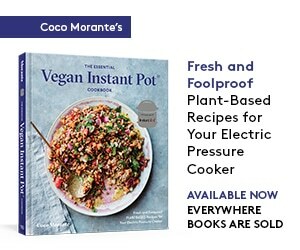 I’ve gone beyond the essentials to include pickles, jams, and other preserves, fish and seafood (which can be tricky to cook right under pressure), a whole chapter of vegetarian main dishes, and tons of sides. There are so, so many side dishes in this book (25, to be exact). You’ll have a hard time deciding which ones to make, whether you’re whipping up weeknight dinners or entertaining for the holidays. Creamy Mashed Potatoes (page 260) are an easy first choice, and you can prepare them the classic way, or add some parsnips as I do here. I bought a monster-sized, 1-pound potato, so I only needed one for this recipe, along with a couple of medium-sized parsnips. As long as you’ve got 1 1/2 pounds of vegetables total, you’re set. 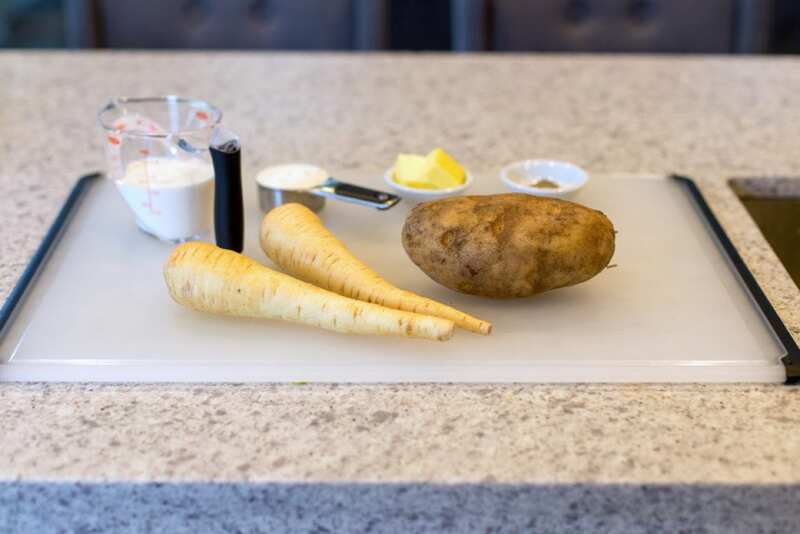 Any size potatoes are fine, since you’ll be cutting them into uniform pieces before steaming. I don’t know about you, but I find it much easier to peel potatoes before steaming, rather than have to pry off their skins while they’re piping hot. They cook a lot faster when they’re cut up too, steaming under pressure for just 4 minutes, plus the time it takes for the pot to heat up and seal (about 10 minutes). 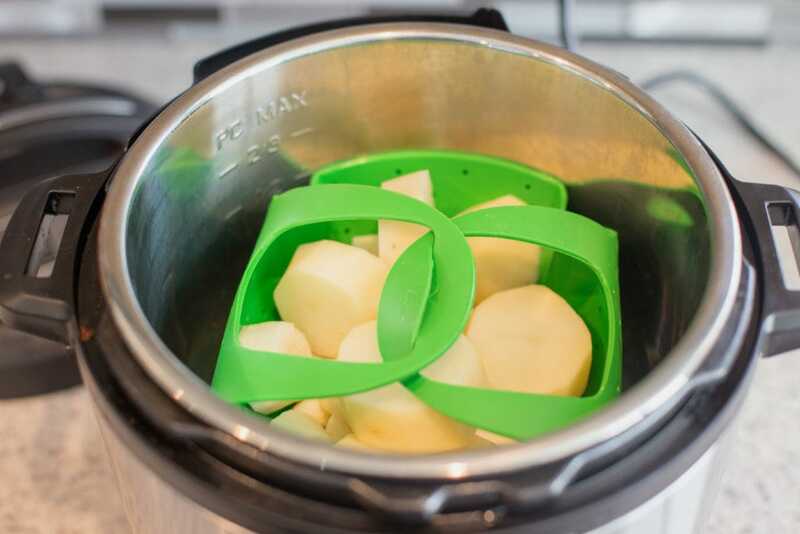 I’ve tried lots of steamer inserts in my Instant Pot, and the OXO Good Grips® Silicone Steamer is an excellent one. It’s great for steaming smaller batches (up to 2 pounds) of hardy vegetables like potatoes, parsnips, carrots, rutabagas, and turnips. 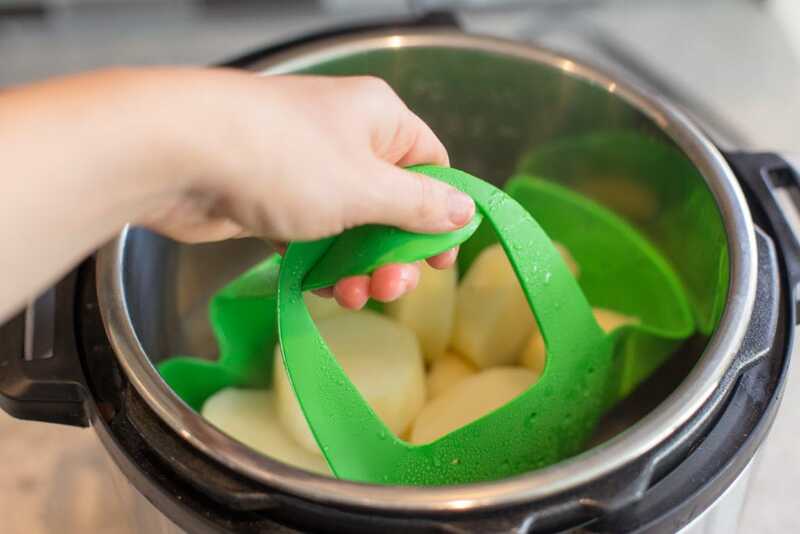 The bright color is fun too — it makes an awesome gift along with their other silicone pressure cooker accessories. As we’re headed into the colder months, I know I’m going to be reaching for mine multiple times a week. 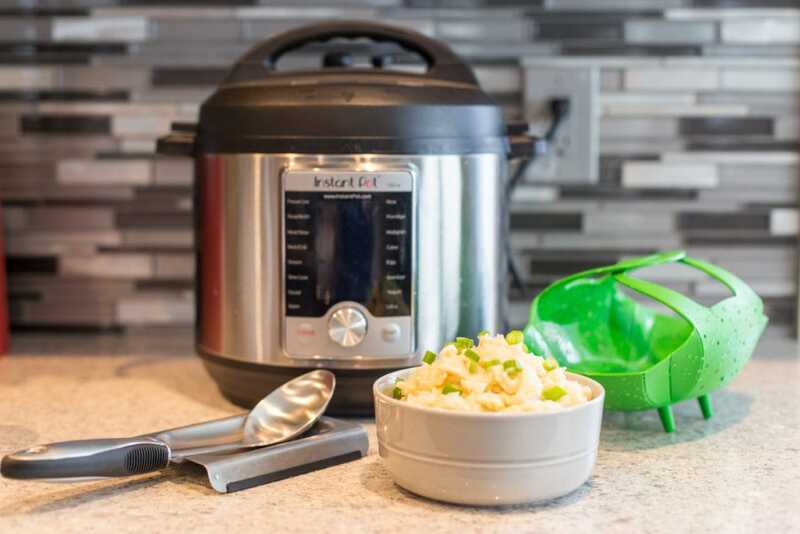 As you can see, the silicone material conforms to the Instant Pot when you lower it in, and its handles come together in a locked position, making it easy to lower and lift. You’ll want to make sure not to overload the steamer when you use it, as the handles need to be able to close so there’s space for steam to build up pressure in the pot. I’ve got asbestos fingers from years of recipe development, so for me, it was no big deal to lift the steamer right out of the pot after steaming. You might want to use a pair of tongs or wear some heat-resistant mitts, though! After the vegetables are steamed, it’s as easy as mashing them up with milk (I use half-and-half for added richness), butter, salt, pepper, and a dollop of sour cream. 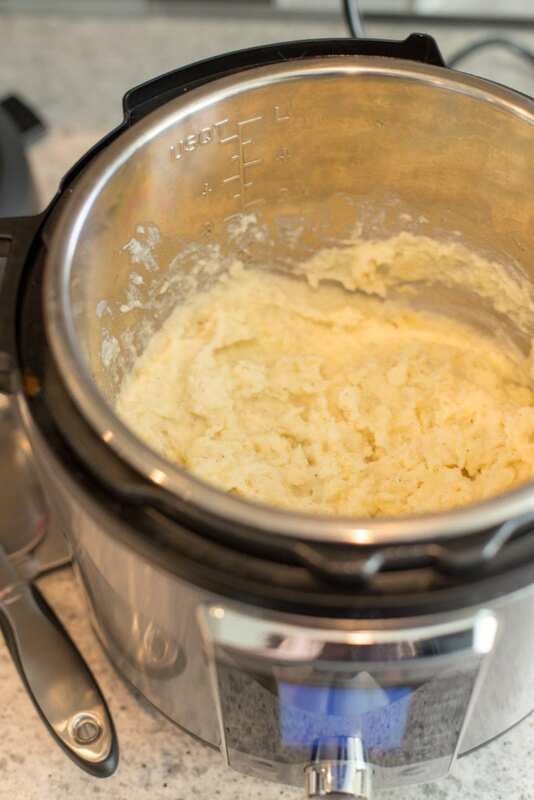 Definitely try adding sour cream to your mashed vegetables if you haven’t tried it before! It adds a tangy note and makes them even creamier. 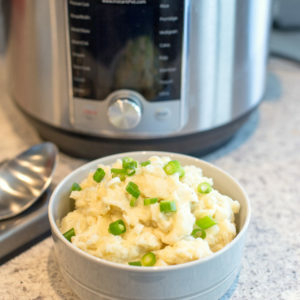 Once you’ve mashed your vegetables right in the Instant Pot’s inner pot, you can serve them right away, or return the pot to the housing. The Instant Pot defaults to its “Keep Warm” setting after cooking, so your mash will stay nice and warm until dinner is ready to serve. 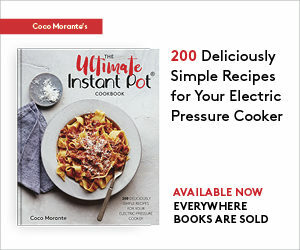 One of my favorite side dishes, adapted from The Ultimate Instant Pot Cookbook. Serve it for the holidays, or alongside a rotisserie chicken and green salad for a fast weeknight dinner. 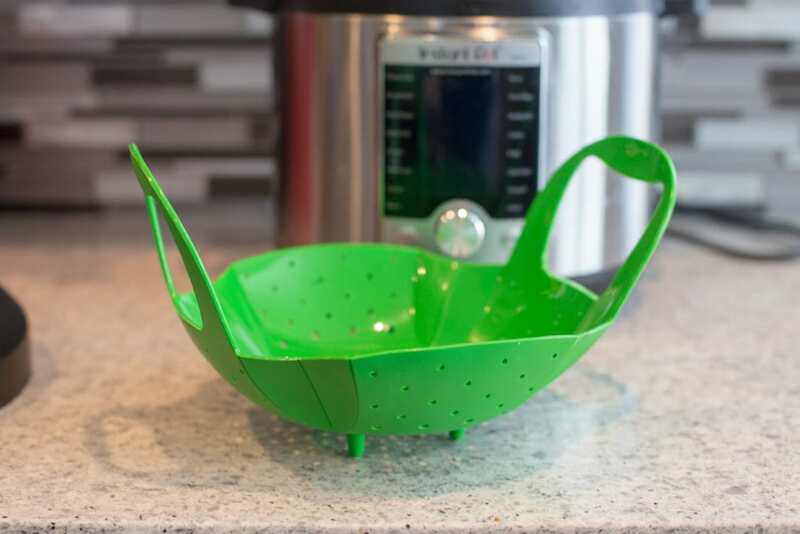 Pour 1 cup water into the Instant Pot and place a steamer basket in the pot. Add the parsnips and potatoes to the basket and lock the handles closed. When the cooking program ends, perform a quick pressure release by moving the Pressure Release to Venting. Open the pot and, wearing heat-resistant mitts, lift out the steamer basket. Lift out the inner pot and discard the water. Return the potatoes and parsnips to the still-warm inner pot. Add the half-and-half, sour cream, butter, salt, and pepper, then use a potato masher to mash the vegetables to your desired texture. Taste for seasoning and add more salt and pepper if needed. Spoon the mashed potatoes and parsnips into a serving bowl and serve warm. 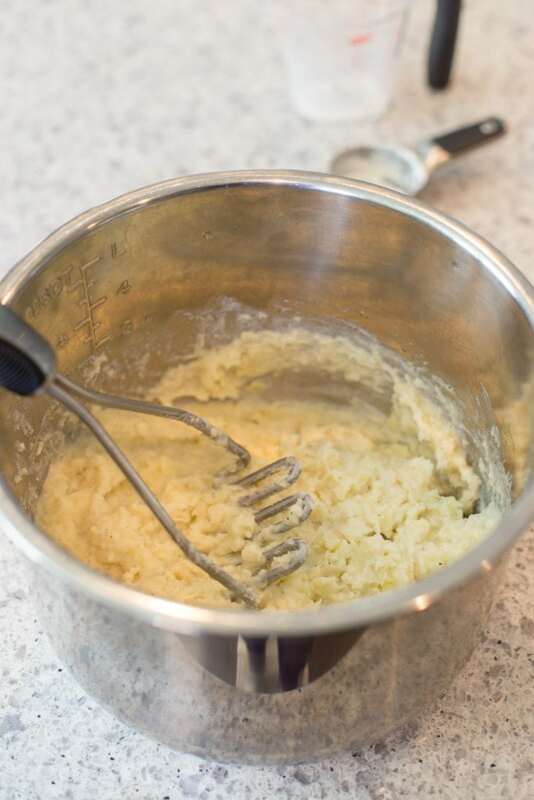 For traditional mashed potatoes, use 1 1/2 pounds potatoes and omit the parsnips. This post was sponsored by OXO. All opinions are my own.